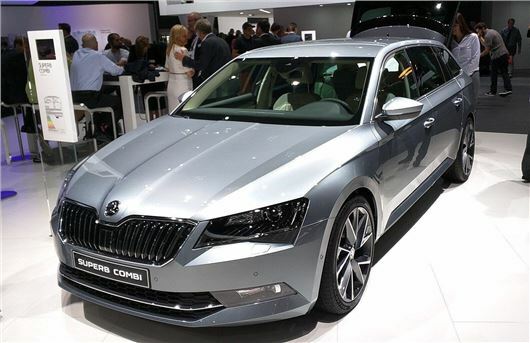 Skoda has premiered the greenest, most economical variant of the new Superb at the 2015 Frankfurt Motor Show. The Greenline emits 96g/km of CO2 in saloon form or 97g/km as an estate, with fuel economy of 76.4mpg for both. UK pricing is to be announced but expect the saloon to cost around £21,000. Final pricing and equipment specification will be announced when sales start at the end of the year. Power comes from a 1.6-litre diesel engine with a power output of 120PS. Economy is boosted by a stop/start system, as with all variants of the Superb, as well as longer gear ratios, low rolling resistance tyres and selective catalytic reduction unique to the Greenline. Emissions are reduced using AdBlue. Equipment specification is to be confirmed, along with final pricing, ahead of sales starting later this year.